Seventeen-year-old Lulabel Seitz was a model student, and the first in her family to graduate from high school. 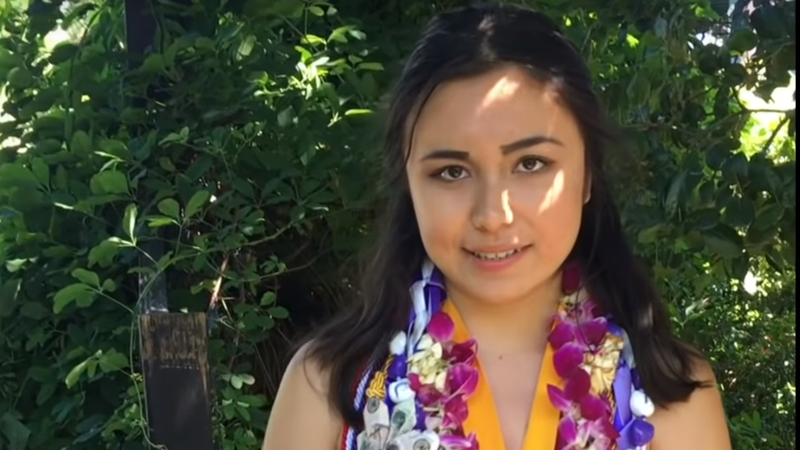 With an above 4.0 GPA, she was class valedictorian at Petaluma High School in northern California, which meant she would give the commencement speech at her graduation. Seitz’ June 2 speech began as many do, with expressions of gratitude for the experiences and memories she and her classmates had. About four minutes into her speech, Seitz began to talk about sexual assault allegations at the school. Officials then disconnected her microphone. People in the audience began yell, “Let her speak!” School officials did not turn her microphone back on. Seitz told CBS San Francisco station KPIX-TV, “The school continually censors students. It wasn’t an easy thing to do to go up there and say what I said or tried to say.” She told KPIX that she was sexually assaulted by another student, and when she reported the assault to high school officials, they did not take any action. In a statement, school officials told the San Francisco Chronicle they could not comment due to student privacy issues. Seitz’ full speech includes anecdotes about other challenges the high school’s students have faced, including fires which have destroyed some students’ homes, and teachers’ strikes. She talks about being the granddaughter of immigrants to the U.S. from the Philippines, and being raised by a single mom. Seitz will attend Stanford University in the fall.